Elysium Health, a consumer health company, has developed a product called Basis that is designed to support cellular health. Elysium Health’s mission is to help its customers live healthier, longer. One of the company’s co-founders, MIT professor Dr. Leonard Guarente, has conducted significant research on the genetic and molecular causes of aging. Guarente is the director of the Paul F. Glenn Center for Biology of Aging Research at MIT, as well as Elysium’s chief scientist. 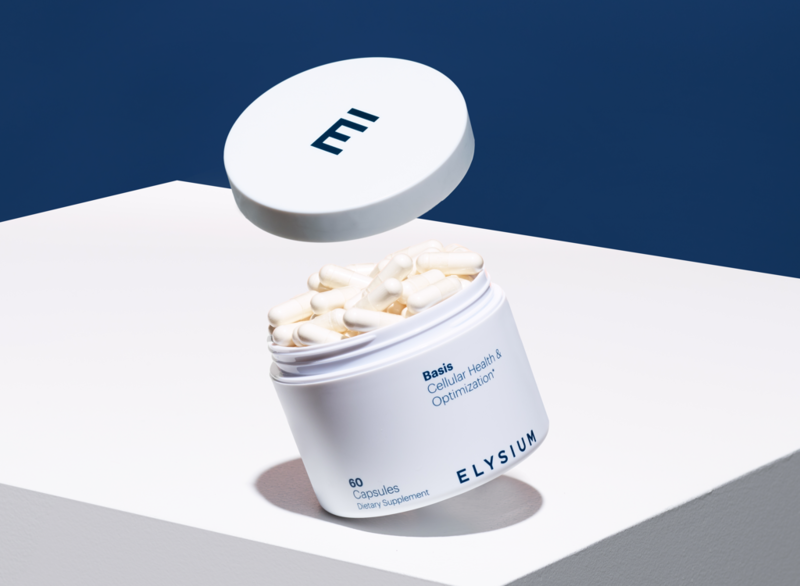 Currently, Elysium Health makes a supplement called Basis, a product designed to support cellular health. It contains two compounds, nicotinamide riboside, an NAD+ precursor, and pterostilbene, a powerful polyphenol found in blueberries that is similar to resveratrol but more bioavailable. This supplement is proven to increase and sustain levels of NAD+ in our bodies. NAD+ is a coenzyme that is essential to many of our cellular functions, such as circadian rhythms, energy creation, DNA protection, and hundreds of others. As we age, our levels of NAD+ decline and those functions can break down. To ensure that Basis works as intended, Elysium Health put the supplement through a clinical trial. This study proved that Basis increased levels of NAD+ in humans by an average of 40 percent and sustained those levels with continued regular supplement intake. Basis is a vegan, vegetarian, gluten- and nut- free supplement. That allows you to stick to your diet and avoid any related food allergies. Basis is available for purchase on Elysium Health's website. Each jar of Basis contains about a month's worth of supplement. This means that the company sells Basis as monthly subscriptions. A regular month-to-month subscription costs $50 each month. The most popular plan is the six-month subscription to Basis for $270, which breaks down to $45 per month. You can also purchase a one-year subscription for $480, which breaks down to $40 per month. Elysium Health is also in the process of developing new products. These focus on cognitive health, muscle function, skin health, and circadian rhythms. These products are currently in various stages of pre-clinical and clinical trials.